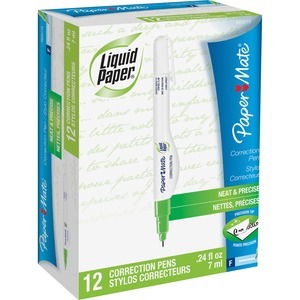 All-purpose correction pen offers superior squeeze control for neat, precise corrections. Fast-drying formula is perfect for use on calendars, date books, and single letter correspondence. Correction pen offers pocket clip and a double-ball tip that prevents clogging.